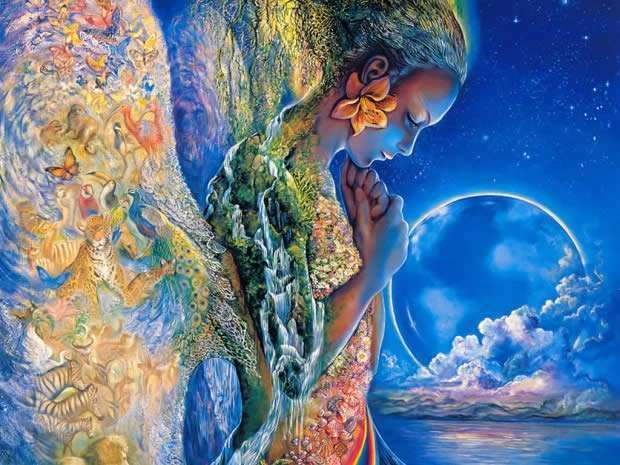 Gaia Portal Prescients Come Together For The New Cosmic Phase Of Hue-Manity. By Interstellar. Below the Gaia Portal March 11 2018 message with our free interpretation in rough English. The Prescients are those who have a knowledge of events before they exist or happen; having foresigh. In this sentence we could interpret them as those who knowingly follow the Divine Plan. Since many of us have reincarnated in this specific period of time following a plan, a mission to be completed, potentially these would also be Prescients, some unaware, others with a higher level of awareness. Many of us who are committed, often led by the Light on the appropriate timeline, in certain missions are inevitably reaching the necessary awareness of this missionary task and are uniting to further enhance the new cosmic phase for the Humanity. As we have already said in the past, Hue probably stands, as the capital H, for the part of Humanity that has this golden hue of Light. 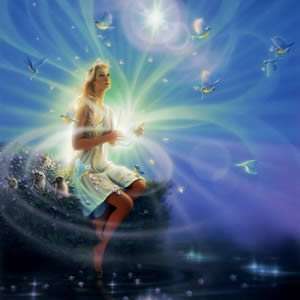 The Stepchildren could be interpreted as those who are children of others, maybe adopted, or even those who have undergone the reverberation of some Light Being or even some elevated being on the surface of the Planet. The reflection of this Light on them would have lighted to their Body of Light and this would make them embraced, adopted, and become members of the new Galactic Family. The Miseries End interpreted literally as it is written, at this precise moment, seems to us a bit optimistic, perhaps it would be more accurate to translate it with “The Miseries Are Ending”. From a spiritual point of view, the miseries are probably ended, more and more people are discovering the true essence of our being, from the material point of view, however, something is still missing. Too many still have to go through daily tribulations dictated by the Archontic System and the current systematic debt system, rumors are circulating that the currency reset is truly imminent, the new currencies based on gold are ready, the collateral accounts will be paid, as well as the currencies like the Iraqi Dinar and the Zim, but for now we are still in the rumors phase. We would also included in this matter the Universal Base Income, if not only to understand who is under the total influence of Cabal and who is not, in our opinion all those who argue against this small step towards the welfare of humanity do not do anything else that to anchor negative energies, they often do so unknowingly, behaving as beings without any awareness, immersed in their compassionate life in the lowest densities available on the Planet, they are miserable, to them goes our compassion. Very difficult to understand what are the celebrations to which this sentence refers, we are certainly celebrating the increased expansion of Light on the Planet, but we still do not feel we can really celebrate… we are full of joy, this is it. Perhaps we will celebrate more when we see the arrests, the collapse of the doped financial system, the closure of the usurer banks, HRC and company at GITMO and things like this… might it be something we are not aware of is happening? Continuing on our interpretation of changing the present perfect time with participle in this case we would say that the Light is winning. The Light always wins, in the circular time, in linear time it is sometimes in needs thousands of years. Once again this sentence summarizes the previous ones, whether it is present or participle, bright times are in front of us, surely it is hard to wait for the concretization in an indisputable a way but we will have to do it, many of us have waited decades, others centuries, many others several cycles of reincarnation… but we are all now certainly arrived at the end of our mission of the Liberation of the Planet, do not let go now, let’s continue with Unity in the Light!